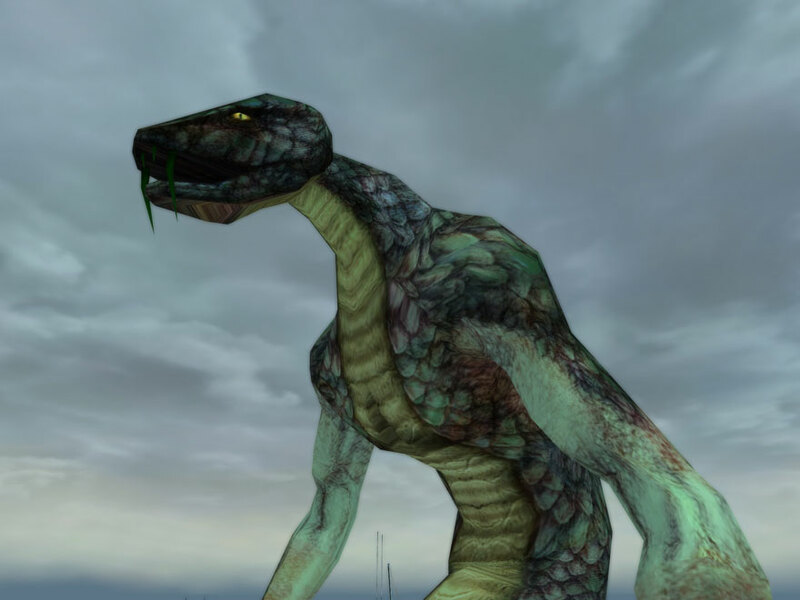 Very little is known about the origins of the Snakes that now swarm Mercy Island. Rumors abound that they are the legacy of the esoteric Mu while others believe that they are somehow linked to the Children of Enos, the mystic cult that once dominated these isles. Though their antiquity coupled with their humanoid features suggest that their provenience can be found in the realm of the arcane, further study has revealed that their actual origin is linked to neither of these ancient groups. When Arachnos first descended on Mercy Isle, their superior firepower quickly forced the Snakes underground. 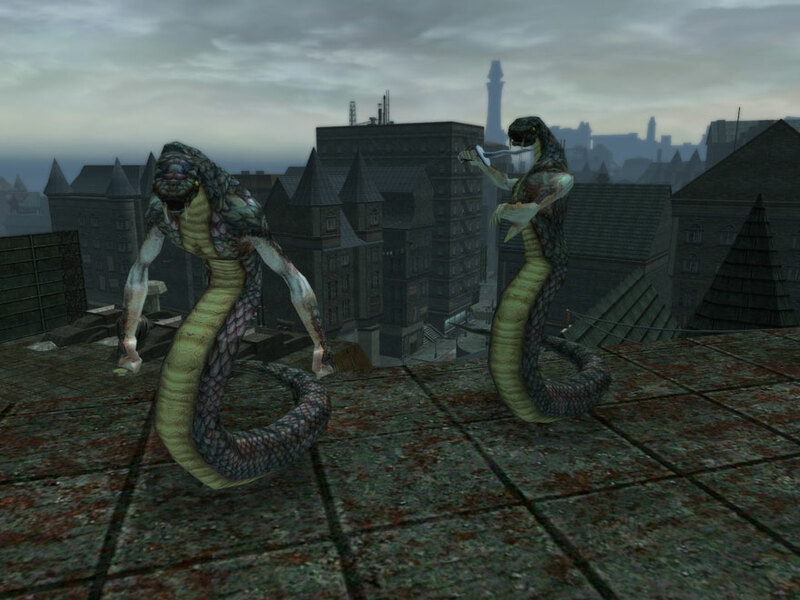 Flourishing in the subterranean snake pits that spread out like a maze underneath the streets of Mercy, the “snake-men” numbers grew unseen by those above ground. They remained hidden until the Rikti assault altered the balance of power. 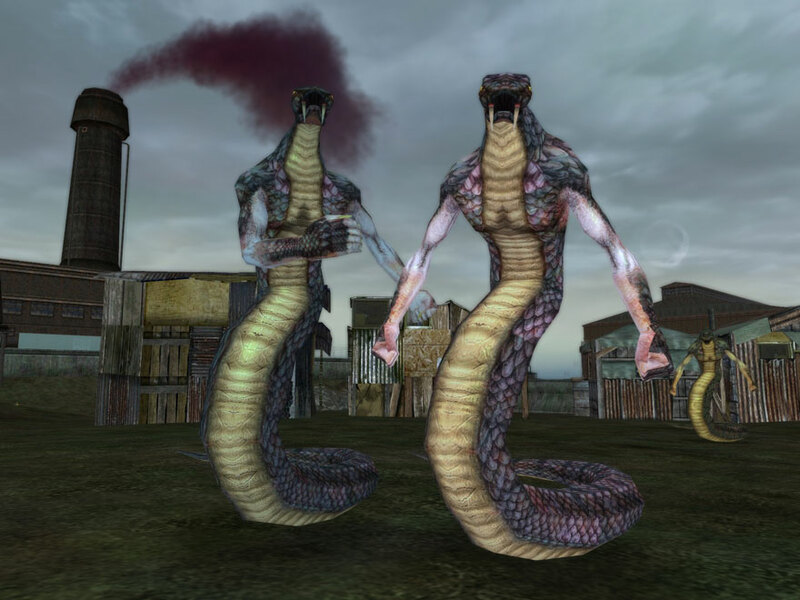 Taking advantage of the chaos following the Rikti War, the Snakes emerged in force from their underground warrens and rampaged through the now abandoned streets of Mercy. Rather than destroy this menace, Recluse has allowed them to infest Mercy Island so that he might study them to determine their origins. Arachnos scientists have conducted extensive experiments on these aggressive beasts and have begun to uncover evidence of an obscure cult that continues to perform dark, impenetrable rituals under the streets of Mercy. The Snakes are often observed worshiping together, murmuring hissing chants to an unidentified deity. Their gorgon-like traits and cruel fangs reveal a possible link to the vicious female monsters of the Old World though this connection remains unconfirmed. No matter their origin, the Snakes have troubled the human inhabitants of Mercy Island for centuries. As they slither through the streets and sewers of Mercy, the Snakes have proven to be an excellent mechanism through which to destroy the weak. For this reason, Arachnos tolerates these creatures as they weed out those possible destined ones unable to survive their wrath. Some also say that Recluse has found a use for the Snakes in one of his many secret operations. The Snakes now dominate the rooftops above and caves below Mercy Island. Attacking with poison, daggers, and their own razor sharp fangs, the Snakes lie in wait, ambushing all those who venture into their territory.